The mixture of different-sized fragments of pumice and volcanic glass in Kāingaroa soil, in the central North Island, are called tephra. 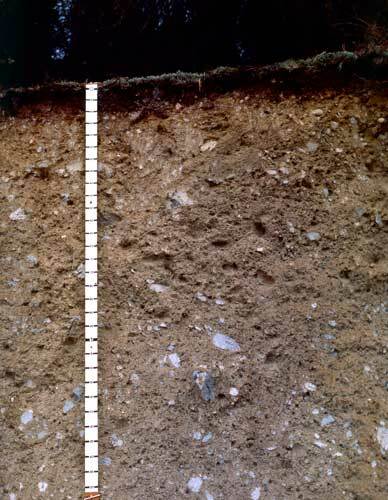 Typically, Kāingaroa soils have dark organic topsoil and a compacted subsoil that restricts root growth. Modern tree-planting methods include breaking up the subsoil before planting.